Internal and external frame completely made of stainless steel, external sides with Scotch Brite finishing. Cover fixed on a self-balanced hinge from AISI 304 stainless steel with a very thick handle from AISI 304 stainless steel. 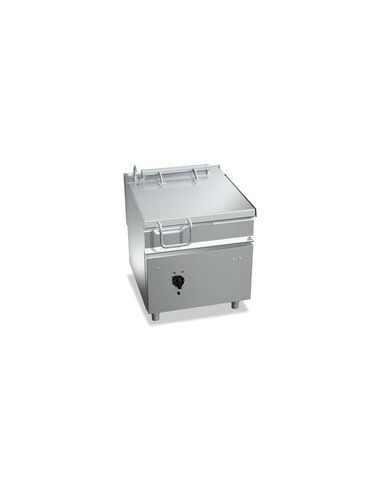 Cooking tank with top and AISI 304 stainless steel walls with 20/10 thickness, non-stick ceramic micro-sphere finishing and completely rounded angles. Radiating steel tank bottom with 12 mm thickness; externally welded. Distributing tap with large capacity neck placed on the top. 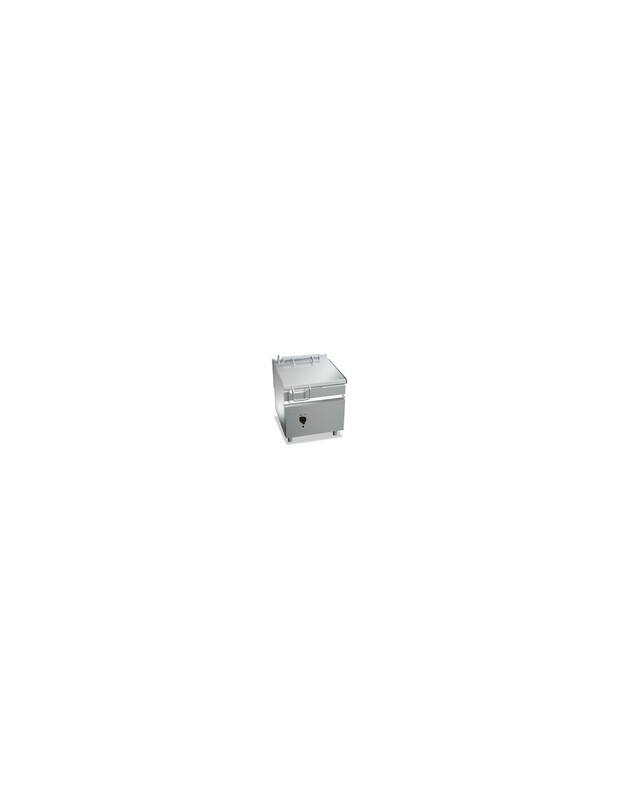 Safety micro-switch to stop the operation when the tank is lifted. Safety thermostat with manual restart. Even heating at the bottom, thanks to electrical armored resistances of AISI 304 stainless steel on the lower side of the tank bottom and with a coating of insulating material. Power supply controlled by switch and thermostat (100 - 300 °C).